Aloe vera, this essential for our bodies gift from the nature, has been used for centuries for its benefits into assisting health and wellbeing, by many different cultures around the world. ... I should note that, visually, Aloe Vera plant is very similar to a cactus, and has been considered as a member of the Lily family, due to Aloe's tubular yellow flowers that produced annually in the spring, and resemble those of the Easter Lily. But actually, according to a reclassification carried out in 2003 with the advanced plant classification system APG II , Aloe Vera is a member of Asphodelaceae , a family of flowering plants. The semi-tropical plant, Aloe Vera, has a long and illustrious history dating from biblical times. It has been mentioned throughout recorded history and given a high ranking as an all-purpose herbal plant. The ancient Greeks, Romans, Babylonians, Indians and Chinese have all used Aloe Vera as a medicinal plant. ... are some of the names that have been given in Aloe Vera. There are only two species that are grown today commercially, with Aloe barbadensis Miller and Aloe arborescens being the most popular, however, with Aloe barbadensis being the most widespread and the most powerful. Aloe barbadensis Miller native to Africa, is now grown around the world specifically in warm and dry climates, is the one that provides the greatest nutritional value, and is the only species that cultivated and used as raw material by Forever Living Products for its Aloe Vera products. Aloe Vera plant matures about the age of three to four years, when the leaves growing from the base in the rosette pattern have fully developed, they have soft spines every few centimeters, and they are taper to a point near the top of the plant. Mature plants can grow as tall as 2 and a half inches to 4 feet with the average being around 28 to 36 inches in length. Each plant usually has 12-16 leaves that, when mature, may weigh up to three pounds. The plant can be harvested every 6 to 8 weeks by removing 3 to 4 leaves per plant. Its lifespan is about 12 years. Research conducted around the world leaves little doubt that certain biochemical properties of Aloe Vera Gel will be proven facts. Such attributes as moisturizing and penetrating properties are known, but the attributes such as its healing abilities and analgesic action to bacterial activity has not been clearly defined and documented through properly controlled scientific research and testing. The original commercial use of the Aloe plant was in the production of a latex substance called Aloin , a yellow sap used for many years as a laxative ingredient. This product became synonymous with the name "Aloe" and recorded in the trade, technical and government literature during the early 20th century. This terminology created much confusion later when Aloe's other main ingredient, Aloe Gel, a clear colorless semi-solid gel, was stabilized and marketed. This Aloe Vera Gel, beginning in the 50's, has gained respect as a commodity used as a base for nutritional drinks, as a moisturizer, and a healing agent in cosmetics and OTC drugs. Chemical analysis has revealed that this clear gel contains amino acids, minerals, vitamins, enzymes, proteins, polysaccharides and biological stimulators. Public interest in Aloe has grown quickly. Now there is a considerable amount of research into the various components of Aloe to find out more about their properties and to characterize these components so that more specific research can provide clues to the "magic" that is attributed to Aloe Vera. This "magic" concept brought the industry under the Federal Food and Drug Administration's microscope in the late 70's and early 80's. 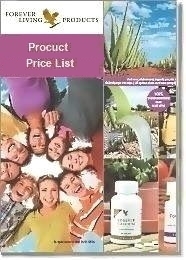 The claims made to the consumer about uses and effectiveness of Aloe were exaggerated. Aloe Vera Gel, like most natural juices, both fruit and vegetable, is an unstable product when extracted and is subject to discoloration and spoilage from contamination by microorganisms. The great success of Aloe Vera Gel as a commodity for use in nutritional foods and cosmetics is due to the proper stabilizing procedures. These procedures enable processors to store and ship the gel without fear of spoilage throughout the market places of the world. 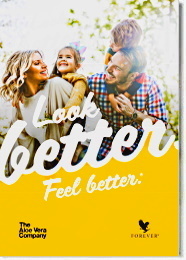 The patented Aloe Vera stabilization process of Forever Living Products, allows the company to provide various Aloe Vera products to its consumers in a state of as close to nature as possible. 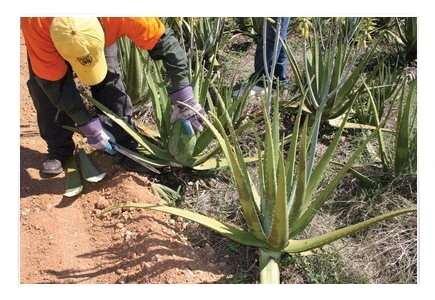 Today, the Aloe industry has established high ethical standards for businesses and their Aloe products. Through the IASC, International Aloe Science Council, the industry has solidified its dedication to providing the world with the highest quality Aloe. The wide acceptance of Aloe by society in so many consumer products suggests that the IASC is moving in the proper direction. The image of Aloe has never been higher. The IASC has a dedicated group of professionals committed to the further growth, research and marketing of quality Aloe Vera Gel and Aloe products made from this Gel. This is because the IASC knows the future of Aloe is full of promise for those willing to make the necessary effort. Forever Living Products is the first company to receive a seal of approval from the IASC, International Aloe Science Council for the content and purity of its Aloe Vera products. ... "The aloe leaf structure shows that the outer crust consists of about fifteen cell layers thick ..."
"... The hardness is due to the large amounts of calcium and magnesium that are present. ..."
Lignin. Cellulose substance found in the gel and has the property of penetrating the human skin. Saponins. They have antiseptic properties and they take the form of lather when mixed and agitated with water. They are used in detergents as foaming agents. Calcium, essential for proper bone and teeth density. Manganese, a component of the enzymes required for the activation of other enzymes. Sodium, ensures that the body fluids do not become too acidic or alkaline. Copper, enables iron to work as oxygen carrier in the red blood cells. Magnesium, used by nerves and muscle membranes. Potassium, regulates acid or alkaline levels of body fluid. Zinc, contributes to the metabolism of proteins, carbohydrates and fats. Chromium, necessary for the proper functioning of insulin, which in turn controls blood sugar levels. Iron, controls the transport of oxygen throughout the body by means of red blood cells. Vitamins A, C and E are crucial antioxidants that combat dangerous free radicals in the body. Vitamin B and chlorine are involved in energy production, amino acids' metabolism and the growth of muscle mass. Vitamin B12 is responsible for red blood cells' production. Folic acid helps develop new blood cells. Amino Acids are the building blocks of proteins, which manufacture and repair muscle tissue. The human body requires 22 amino acids of which 8 are essential. Aloe Vera provides 20 of 22 required amino acids and 7 of the 8 essential. These enzymes help digest by breaking down the food. Some of the enzymes help break down fats, while others break down starches and sugars. promote the strengthening of bones. As Aloe Vera is comprised of about 99% water, all other ingredients contained in the remaining 1% of the plant. Although this may seem like a small percentage to contain so many ingredients, however its helpfulness has been proven important. "... synergistic effect is defined as the cooperation of two or more drugs, muscles, etc. to produce an effect greater than the sum of their individual effects ..."
"... Tissues, that usually getting damaged and must be renewed rapidly -such as the intestine's inner lining that is renewed every four days and the overall skin that is renewed every 21 to about 28 days-, need a rich and ready supply of building materials to produce and maintain healthy and effective cells ..."
A proper diet supplemented with Aloe Vera is an effective way to provide to our bodies the "rich and ready supply of building materials" and all the other essential nutrients, as well as to deal with bacteria, viruses, fungi and reduce inflammation on damaged tissue. Inflammation occurs when healthy tissue is injured and blood begins to clot around the tissue to repair it. Aloe is a natural anti-inflammatory that is much more friendly to the human body. The benefits of Aloe Vera have long been tested throughout history. But it is only in recent years that studies have scientifically proven some of these benefits. But happily more studies are in progress and hopefully more Aloe Vera benefits will be proven. The longer scientist and botanists will study the benefits of Aloe Vera, the more improvements we will create in human health and welfare.